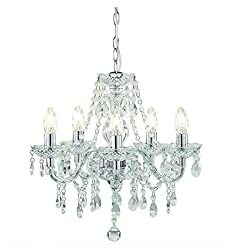 305502 products found in Chandelier. 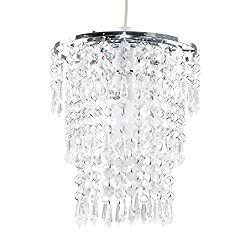 Your request for Chandelier revealed a total of 6305502 results. 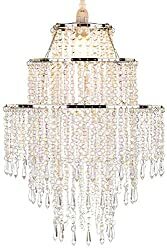 Product Features: Tuscany Chrome Silver and Clear Beaded Chandelier, Colour: Clear, Material: Metal/Acrylic, Bulb Size: 5 x 40w SES (bulbs not included), Height: 46 cm - Depth : 45 cm Ceiling Plate: 12cm Wide x 2.5cm Deep (approx), Add a beautiful ceiling chandelier light shade with stunning acrylic jewel droplets to your house , making your house shining and fashionable, so beautiful !! !